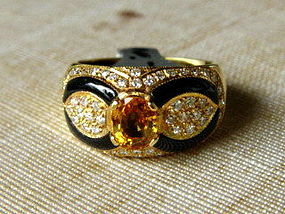 New 18K. 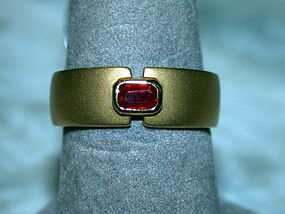 gold sandblasted ring (7.78 gr. 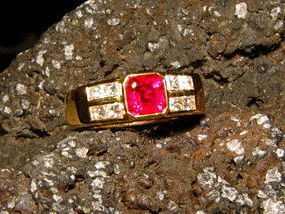 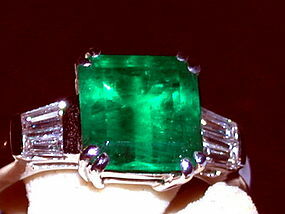 ), set with a genuine ruby @ 0.36 ct.
New solid 18K. 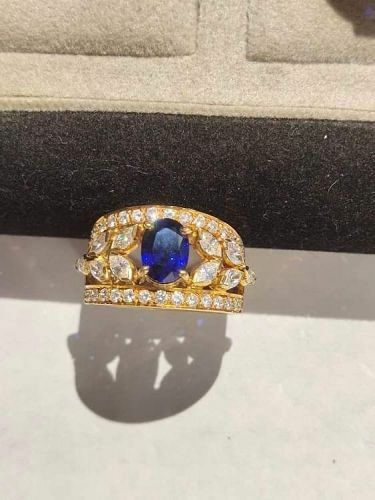 gold ring set with one oval genuine blue sapphire @ 2.41 ct., 6 square diamonds @ 0.27 ct. and 68 brilliant diamonds @ 0.52 ct.
Ceylon Blue Sapphire & Diamond Solid Gold Ring 18K. 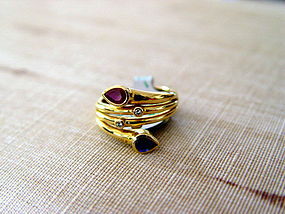 New solid 18K. 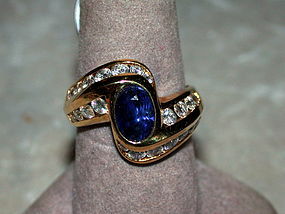 gold ring set with one oval genuine Ceylon Blue Sapphire @ 2.08 ct., 8 Diamonds @ 0.36 ct. and 14 Diamonds @ 0.995 ct.
Coiled toi-et-moi solid 18K. 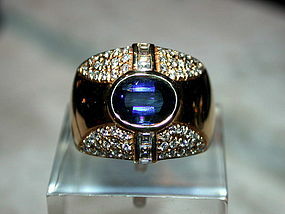 Gold Ring (9.66 gr. 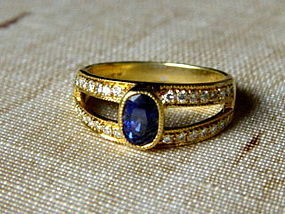 )set with one genuine Blue Sapphire @ 0.68 ct., one genuine ruby @ 0.45 ct. and 2 brilliant Diamonds @ 0.03 ct.
18K. 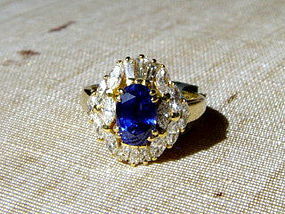 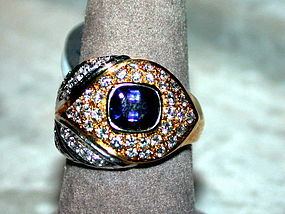 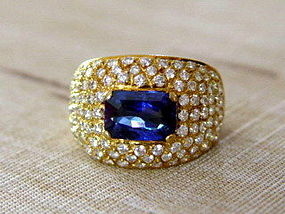 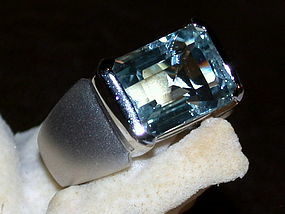 Gold Ring set with Genuine Ceylon Blue Sapphire @ 1.01 ct. and 28 brilliant Diamonds @ 0.27 ct. 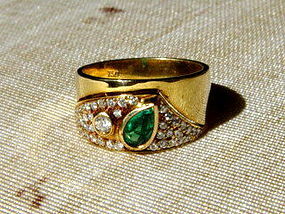 Solid 18K. 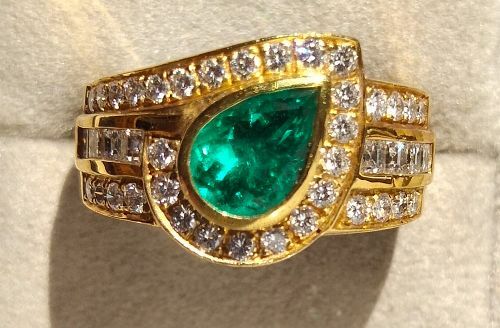 Gold ring set with Pear shaped genuine Colombian Emerald @ 0.40 ct., 1 brilliant Diamond @ 0.08 ct. and 42 brilliant Diamonds @ 0.41 ct.
18.K. 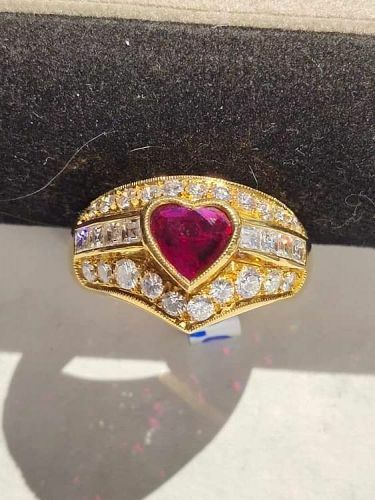 Solid Gold Ring set with Genuine Heart shaped Ruby @ 0.93 ct.. 21 brilliant Diamonds @ 0.71 ct. and 8 square brilliant Diamonds @ 0.39 ct.
Genuine Heart Shaped Blue Sapphire-Diamond Ring 18K. 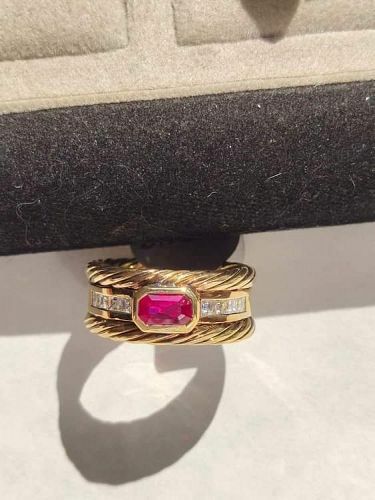 18K. 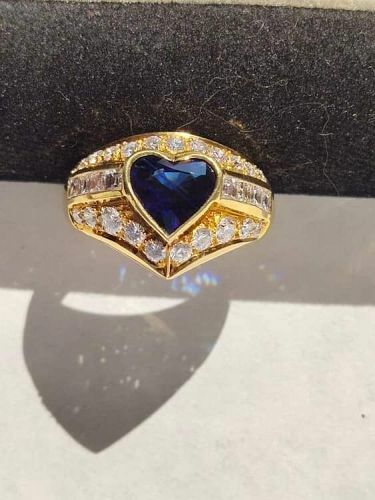 Solid Gold Ring set with genuine heart shaped Blue Sapphire @ 1.73 ct., 8 square Diamonds @ 0.40 ct., 21 brilliant Diamonds @ 0.70 ct.